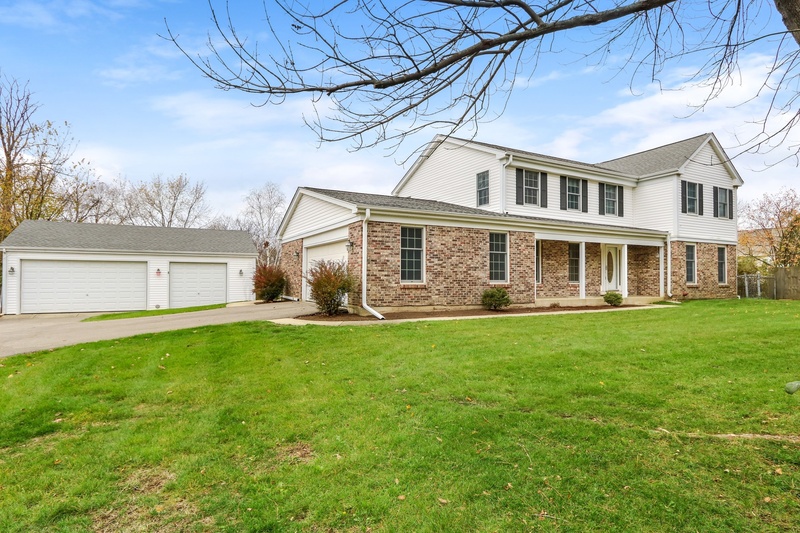 When convenience, functionality & privacy create a mostly fenced .47 acre sanctuary in Barrington only 3 doors down from Cuba Marsh & minutes to town, Metra, shops, entertainment & restaurants. Presenting a charming entry opening to spacious living room with French doors & elegant dining room with floor to ceiling windows & kitchen access. The custom kitchen was thoughtfully designed with cherry cabinets, granite, stainless steel appliances including double oven, breakfast bar overlooking kitchen table space, access to patio & family room. Luxurious family presents a brick fireplace & sliding doors to patio. 1st floor also features gorgeous hardwood floors, powder room with penny tile accent wall & remarkable laundry room with custom cherry lockers. Commencing to 2nd floor to 4 bedrooms & 2 full baths consisting of sprawling master suite with walk-in closet, sitting area, double vanity, shower & Jacuzzi. Finished lower level with porcelain tile throughout! Car enthusiast..5 car garage!